LT!! TURBO!! POWER SUNROOF!! 8 INCH COLOR TOUCH SCREEN!! REMOTE START!! BLACK BOWTIE!! REAR CAMERA!! 4G LTE WI-FI HOTSPOT!! 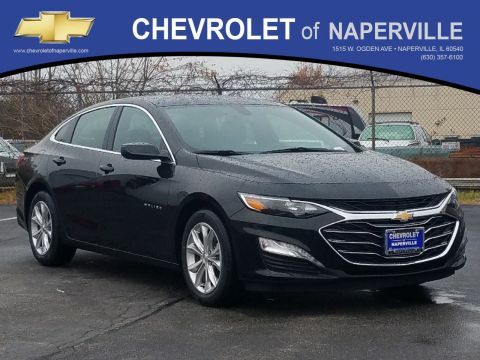 2019 CHEVROLET MALIBU LT, PACIFIC BLEU METALLIC ON JET BLACK PREMIUM SEATING, 1.5L TURBO ENGINE UNDER THE HOOD, 36 HWY MPG!! LETS GO OVER ALL THE OPTIONS ON THIS LOADED UP GAS SAVER!! 8 INCH COLOR TOUCH SCREEN WITH APPLE/ANDROID CARPLAY TECHNOLOGY, 4G LTE WI-FI HOT SPORT, REAR VISION CAMERA, 6-SPEAKER PREMIUM SOUND, 17 INCH ALUMINUM WHEELS, LED ILLUMINATED TAIL LAMPS, POWER OUTSIDE MIRRORS HEATED AND ADJUSTABLE, KEYLESS START, ALL LOADED UP MALIBOOYAH HERE READY FOR A NEW FRIEND!! NOW…HOW ABOUT SOME WARRANTY….YOU GET A FULL 36 MONTH OR 36,000 MILE BUMPER TO BUMPER COVERAGE GOOD FROM THE DAY YOU TAKE DELIVERY, PLUS 5 YEAR OR 60,000 MILE POWERTRAIN COVERAGE!! 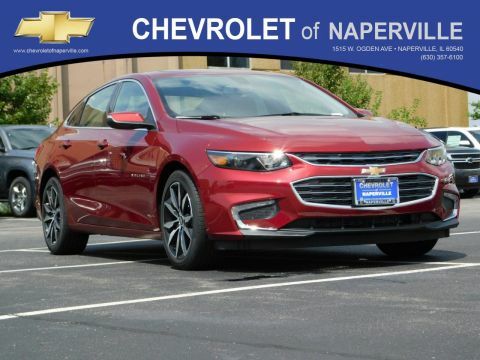 ONLY THING LEFT FOR YOU TO DO IS COME ON DOWN AND TAKE THIS LOADED UP MALIBU FOR A SPIN-O-RAMA AROUND OUR WORLD FAMOUS CHEVROLET OF NAPERVILLE TEST TRACK!! FIRST FAMILY HERE WINS…SEE YA SOON…ONE LOW PRICE, PLAIN AND SIMPLE…ALWAYS!! 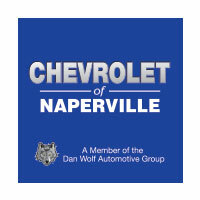 FIND NEW ROADS HERE AT CHEVROLET OF NAPERVILLE!! LT!! TURBO!! POWER SUNROOF!! 8 INCH COLOR TOUCH SCREEN!! REMOTE START!! BLACK BOWTIE!! REAR CAMERA!! 4G LTE WI-FI HOTSPOT!! 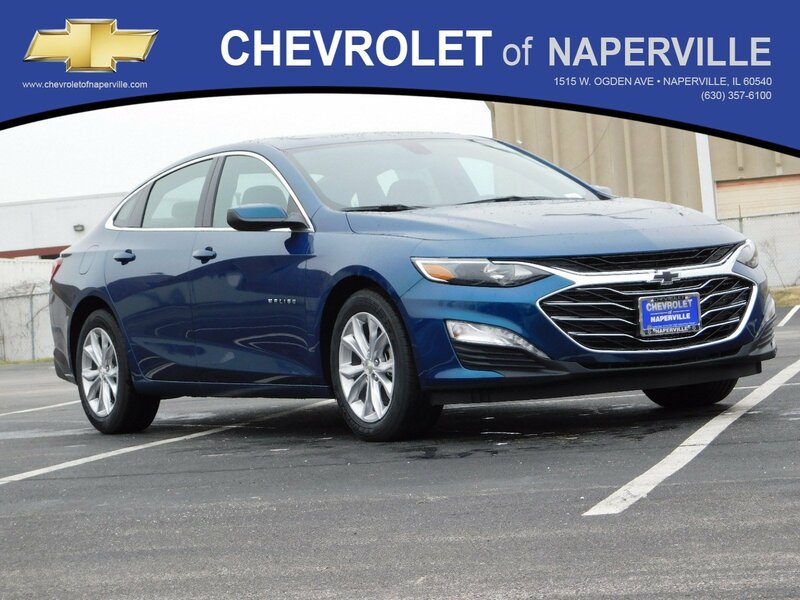 2019 CHEVROLET MALIBU LT, PACIFIC BLEU METALLIC ON JET BLACK PREMIUM SEATING, 1.5L TURBO ENGINE UNDER THE HOOD, 36 HWY MPG!! LETS GO OVER ALL THE OPTIONS ON THIS LOADED UP GAS SAVER!! 8 INCH COLOR TOUCH SCREEN WITH APPLE/ANDROID CARPLAY TECHNOLOGY, 4G LTE WI-FI HOT SPORT, REAR VISION CAMERA, 6-SPEAKER PREMIUM SOUND, 17 INCH ALUMINUM WHEELS, LED ILLUMINATED TAIL LAMPS, POWER OUTSIDE MIRRORS HEATED AND ADJUSTABLE, KEYLESS START, ALL LOADED UP MALIBOOYAH HERE READY FOR A NEW FRIEND!! NOW...HOW ABOUT SOME WARRANTY....YOU GET A FULL 36 MONTH OR 36,000 MILE BUMPER TO BUMPER COVERAGE GOOD FROM THE DAY YOU TAKE DELIVERY, PLUS 5 YEAR OR 60,000 MILE POWERTRAIN COVERAGE!! ONLY THING LEFT FOR YOU TO DO IS COME ON DOWN AND TAKE THIS LOADED UP MALIBU FOR A SPIN-O-RAMA AROUND OUR WORLD FAMOUS CHEVROLET OF NAPERVILLE TEST TRACK!! FIRST FAMILY HERE WINS...SEE YA SOON...ONE LOW PRICE, PLAIN AND SIMPLE...ALWAYS!! 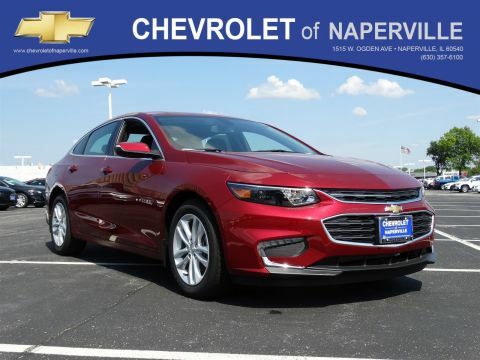 FIND NEW ROADS HERE AT CHEVROLET OF NAPERVILLE! !